Canon EOS C300 Mark II Announced, Price $16,000 ! 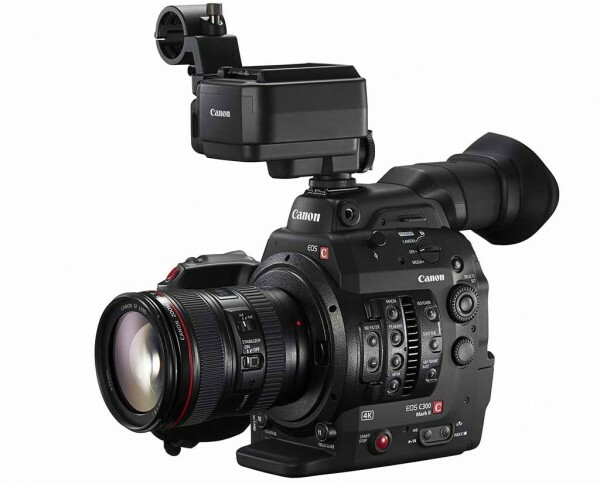 Canon today has announced the new EOS C300 Mark II Cinema EOS camera. It replaced the EOS C300, with a US price around $16,000. C300 Mark II has a claimed 15 stops of dynamic range – greater than the original C300 and the competing Sony FS7. The headline-grabbing feature is the all new 9.84 megapixel Super35 size CMOS sensor (8.85 megapixels is used when 4096 x 2160 shooting resolution and 8.29 megapixels when shooting 3840 x 2160 or 1920 x 1080 resolution). 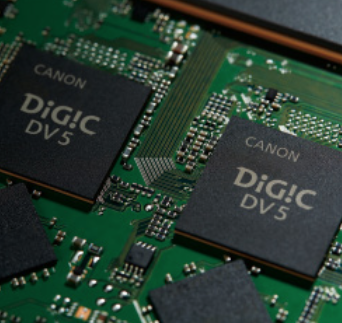 When combined with the new Dual Digic DV5 processor it allows 4K capture internally in 4:2:2 at 10-bit depth. The camera can also record 2K or HD resolution at 120fps. Sensor read speed is said to be twice as fast as the original C300. This should lessen the rolling shutter skew effects to the point where most viewers would never notice. The image is said to be better than the already excellent original, which many shooters love. Canon Log2 replaces the original Canon Log and is in essence a flatter version that allows for more information to be retained in highlights and lowlights. Canon’s WideDR, as found on the C100 mkII, also makes an appearance on the camera – great for shooters who want an image that retains some highlight and shadow detail, while still being usable with minimal grading. A new feature is ‘Looks’. These are baked in colour adjustments that match the Log settings of other popular cinema cameras such as the ARRI Alexa and Sony F55. 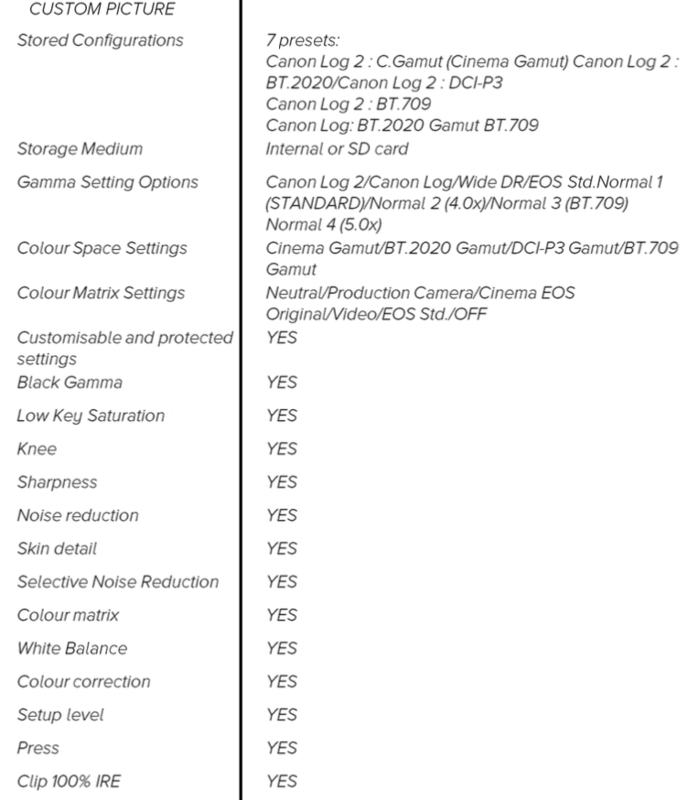 This should mean that the C300 mkII can be intercut as a B or C camera when used alongside those other cinema cameras. This reflects the reality that on larger budget productions the ARRIs and Sonys are still more popular than Cinema EOS cams. The C300 and now the C300 mkII are more likely to be used as supplementary cameras on brushless gimbals or rigged inside vehicles. The already great low light performance is said to be improved. In addition, the ISO range now starts at a low 100 and goes to 102,400. Native sensitivity is ISO 800 when using Canon Log 2. Up to that point, the camera has slightly less dynamic range, and from 800 upwards the dynamic range of the camera remains constant. The colour range on the camera is also widened. 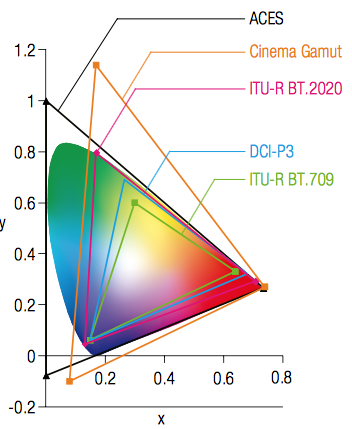 The mkII is now capable of using the ITU-R BT.2020 colour gamut which is considerably wider than REC.709. A 4K image can be recorded at a whopping 410Mbps in 10-bit 4:2:2 at up to 29.97 frames per second (fps) internally to CFast 2.0 cards using the new XF-AVC Intra codec. 2K and HD imagery can be recorded at RGB 444 in 10-bit at 210Mbps, or even 12-bit at 225Mbps to CFast 2.0 using the same codec. The XF-AVC Intra is similar in concept to Sony’s XAVC Intra frame codec and Canon expects most major pro editing applications to support it by the time the camera ships. The use of a modern I-frame codec should allow for excellent quality while maintaining manageable file sizes. At the same time as the XF-AVC Intra file is being recorded to a CFast 2.0 card, a proxy file can be recorded in lower bitrate 8-bit 2K/HD 4:2:0 to a SD card. In some cases this may be good enough to be used as a deliverable where a file has to be rapidly sent to a broadcaster or client. The 2K/HD high speed recording at 120 or 100fps (depending on the PAL/NTSC setting) is perhaps the most limiting feature of the C300 mkII compared to its nearest rivals. Both the Sony F5 and FS7 run at faster frame rates. Additionally the C300 mkII needs to be set in a crop mode to attain these frame rates. Even the diminutive Sony a7S can manage to shoot 120fps without a crop factor. Of course, all the Sonys mentioned suffer a degree of softness and aliasing when shooting at high frame rate. It will be interesting to see if the Canon provides a better overall image at 120fps. Sadly, the crop factor only works when the camera is in high speed mode – I wish this could be engaged when shooting regular HD as you can with the Sony F5. If you want RAW output then the C300 mkII can do that as well. It can output 4K 4:4:4 to an external recorder like the Convergent Design Odyssey 7Q or Atomos Shogun. The shape and ergonomics of the C300 mkII remain largely the same as those of the mkI. The body alone weighs 1880g, slightly more than the original’s 1430g. With LCD jackpack, grip and handle it weighs 3.37kg compared to the mkI at 2.7kg. 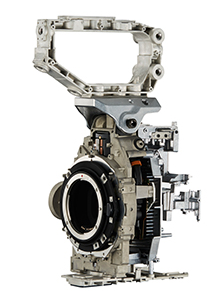 Overall, Canon claim the body is stronger and more durable. There are rubber seals on the buttons and more die cast components. The buttons on the side of the camera now illuminate in the dark to aid setup. 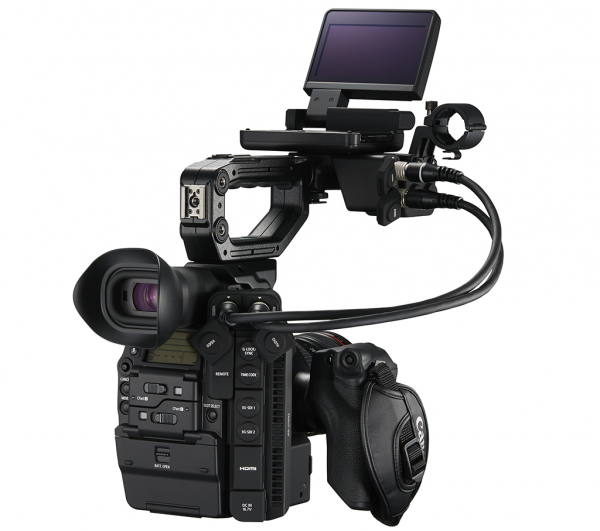 The stock handgrip too has been upgraded and is more robust than the original C300 grip. Even though they look similar there have been several big improvements. The redesigned handle attaches to a top helmet which has been added. The handle is much more sturdy, with a useful 15mm rod clamp added, along with several 1/4” 20 mounting points. Three hex screws hold the helmet in place on top of the camera, then a further two hex screws attach the handle to the helmet. The EVF is now an OLED EVF with approximately 1770,000 dots (1024 x RGB x 576). It has a contrast ratio of 5000:1 vs 270:1 on the original C300. This should make it very usable when handholding the camera without a support rig. The redesigned LCD/audio jackpack now has detachable cables at both ends – if the cable breaks it can now be easily replaced. The interchangeable design means that longer cables can also be fitted. There are two different length cables available – the standard 50cm and a longer optional 100cm cable. This should allow for easy rigging even with very big lenses. On the subject of lenses Canon have decided to do away with the separate PL and EOS versions of the camera. Instead the camera comes in EOS fit by default but it has an interchangeable front (service mount in Canon speak) that can be replaced by a PL service mount. This service mount can also be shimmed to guarantee proper flange back adjustment for cine lenses. Strangely, the PL mount does not support the Cooke-I lens information system. I suspect Canon thinks the majority of buyers of the C300 mkII will actually use EF lenses rather than PL servo zooms. The built-in neutral density (ND) filters of the original C300 were a key part of that camera’s success. Canon have improved this even further with the C300 mkII. Now there are two ND filter wheels with a total of six ND settings (OFF、2 stops、4 stops、6 stops、8 stops and 10s tops). The second filter wheel is engaged via a custom setting and adds stronger ND values. Use of the second wheel may require re-adjustment of focus (usually via shims) for Cine lenses. For this reason, an operator can choose whether he or she feels it is necessary to engage it. Power is provided by new Canon BP-A30 (3100mAh) (included) or BP-A60 (6200mAh) (optional) batteries. Sadly the old batteries from the C300 and 100 don’t work. The new ones are rated at 14.4V to cope with the larger power draw of the 4K camera. Canon’s excellent Dual Pixel CMOS AF system is another feature which has seen improvement. It now covers nearly 80% of the sensor area. Face detect is brought over from the C100 mkII and the speed of AF can be adjusted in ten steps. You can also change the AF tracking characteristics in a similar way to altering them on a Canon Pro DSLR. This affects how firmly the system ‘locks-on’ to a subject. The AF system does not have a touchscreen like the EOS 70D, but you can select which focus areas are being used by toggling using the joystick on the handgrip. I believe finally we may have an AF system that will gain wide adoption by real world shooters. You can set up and control the C300 mkII from an iPad if you use the WFT-E6 wireless transmitter. Not only can all camera parameters be set; you can also select focus points by touching the screen. This has great potential for remote and drone use. Audio is improved too. It can now be recorded in 4 channel 16/24bit 48KHz LPCM. The camera also has an internal mic in the body now, like the C100 mkII. 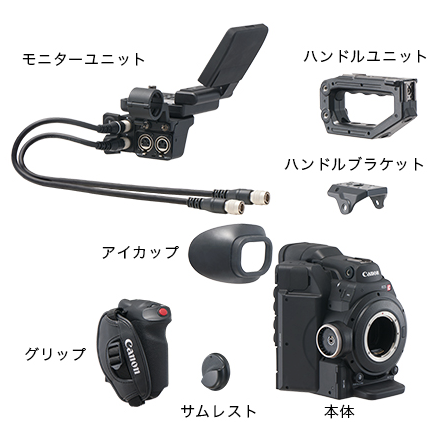 The minijack remains from the original C300 but now its inputs can be used in addition to the XLR connections to provide the 4 channel audio. This is a welcome feature that I have long wanted on a Canon camera. Another great touch is an optional audio-only jackpack. This is a small box that can be fitted to the end of the top handle or directly to the hotshoe and provides a nice alternative to the full-size LCD/jackpack if you want to keep the camera profile low. 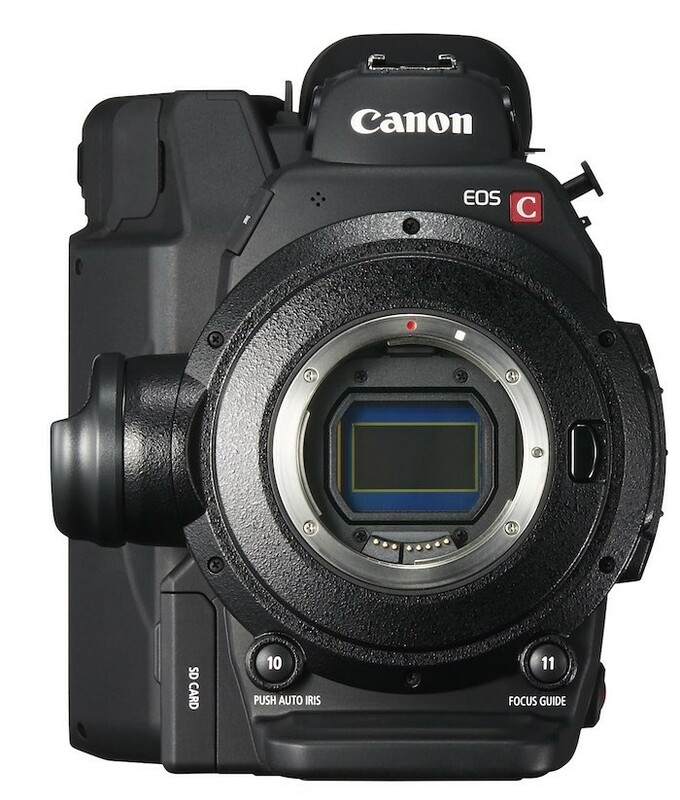 The result is a camera that more closely resembles the C100 aesthetic, although it is bigger all round. One omission that may leave some users bewildered is the lack of the MPEG2 XF codec from the original C300. Canon are convinced that users will be happy to migrate to the newer XF-AVC Intra codec and the H.264 2K/HD proxy files. I’m not so sure. My last broadcast job at a news network entailed me shooting MPEG2 which was edited either in an older version of AVID or Final Cut Pro 7. The final output was standard def and the network had only just switched to 16×9 from 4×3 recently. Broadcasters like this are not ready to move to XF-AVC anytime soon. Transcoding is rarely an option given the time constraints. I don’t think my experience is unique. It is worth noting that there is no HD to SD downconversion in camera – something that some news shooters may find annoying when trying to use the C300 mkII for live crosses. If you are transmitting in SD then you will likely need a HD to SD downconversion box. The market that the C300 mkII is entering is very different to the one its older sibling encountered. When the C300 launched there were relatively few large sensor options and none that had the same ease of use and affordability. The big question is whether the existing user base of C300 users will see the need to change up to the new camera. Most factual broadcast TV is still acquired in HD 50Mbps MPEG2. Canon must be hoping that broadcasters and commercial clients demand more 4K in the near future as this would drive demand for the C300 mkII. The mkII is faced with stiff competition. Sony’s FS7 and F5 have established themselves in many parts of the world. There are plenty of documentary and TV shooters happily using smaller camera like the a7S and GH4 to great effect. Indeed, the C300 mkII also faces competition from the original C300, ever since Canon dropped the price massively a few days ago. 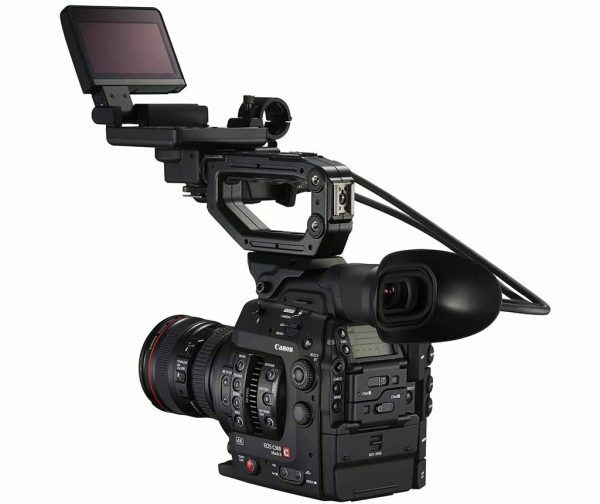 Canon hope that the image quality will make the C300 mkII a desirable camera for both large and small productions. The addition of the Looks should allow it to be deployed as a B or C cam alongside ARRI Alexa, Amira or Sony F55 with ease. The camera will be priced at £11299 excluding tax in the UK and isn’t expected to be available until the third quarter of this year. 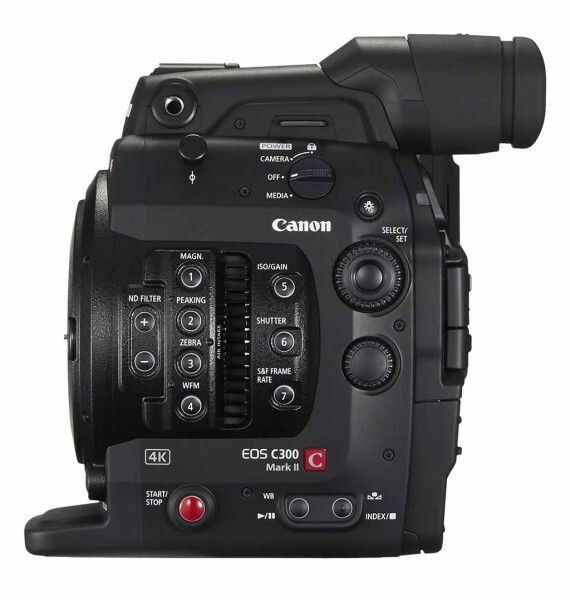 If the mkII rollout is similar to the original C300 it will be in short supply initially. For a certain kind of user who doesn’t need faster than 120 fps shooting, and who values 4K and great colour reproduction, an easily gradable image and a compact camera body, the Canon C300 mkII may just be their new best friend. ※CFast is, standard next-generation flash memory card of the CompactFlash Association, which was established. The high-speed data transfer from the CF card by performing serial communication. Appearance is not compatible to the same size as a normal CF over mode. Fine: it can be set for each 0.5dB steps. Previous Previous post: Canon XC10 4K Video Camera with 1″ Sensor Announced, Price £1599.99 ! Next Next post: Canon EOS C300 Mark II, XC10 4K Camcorder now Available for Pre-order !